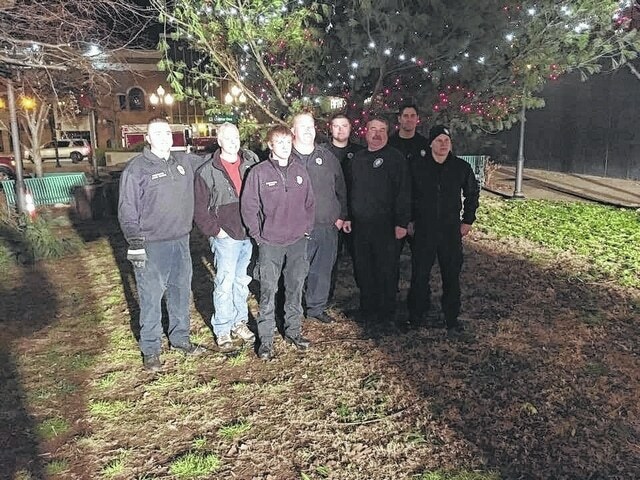 File photo The Portsmouth Fire Department is among the heroes being honored at this year’s Red Cross Heroes Breakfast, for their commitment to preparedness, and other community activities such as decorating the city Christmas tree. Eleven heroes will be honored in multiple categories at this year’s Red Cross Heroes Breakfast, scheduled for Thursday, Aug. 13. “Each year, the American Red Cross of the Ohio River Valley presents awards to local heroes who saved lives, exemplified the Red Cross mission or made significant, positive differences in our community in the areas of emergency response, disaster preparedness and prevention,” said Debbie Smith, community executive with the Ohio River Valley Chapter of the American Red Cross in a released statement. Tim Jones will be presented the Jackson County Volunteer Hero Award. According to award information, Jones runs a non-profit organization in Jackson County that provides clothing to those in need. Jones is also a member of many community organizations whose aim is to help those in need. Linda Slone will be presented with the Pike County Volunteer Hero Award. According to award information, Slone is a past Red Cross board member and has a blood drive volunteer at Piketon High School for many years. Living With a Cause will be presented with the Community Hero Award. According to award information, Living With a Cause does multiple fundraisers and community events to support children in our area, and local military. This year’s Rescue Hero Award will be presented to members of the Nile Township Volunteer Fire Department. According to award information, “On April 3, 2015, the department was dispatched to Naces Run Road. The initial dispatch stated that a vehicle had rolled over and the occupants were trapped. Upon arriving on scene it was discovered that the vehicle had not rolled, but the driver had backed down a driveway after dark and as result of the heavy rain that had occurred the driveway had washed out, and the vehicle was teetering on the edge of the driveway and in danger of dropping into the creek that was six to eight feet below the vehicle. The Marcia Sanderlin Hero Award will also be given out during the breakfast to a Red Cross volunteer or supporter that has gone above and beyond expectations either as a volunteer or financial supporter. The recipient of this award is kept a secret until the morning of the breakfast. The Red Cross Heroes Breakfast will occur Thursday, Aug. 13, at the Friend’s Community Center. The breakfast begins at 7:30 a.m. and concludes by 9:15 a.m. Proceeds from the event help support local disaster prevention, preparation and relief, the lifesaving training of first aid, CPR/AED classes, collection and testing of blood and blood products, support to military members serving around the globe, the transportation program, and international programs provided by the American Red Cross. Tickets for the annual event are $10 per person or $25 for patron seats and can be obtained at 1801 Robinson Ave., in Portsmouth, or by calling 740-354-3293.